Happy Snow Day, again! I can just maybe get used to this! 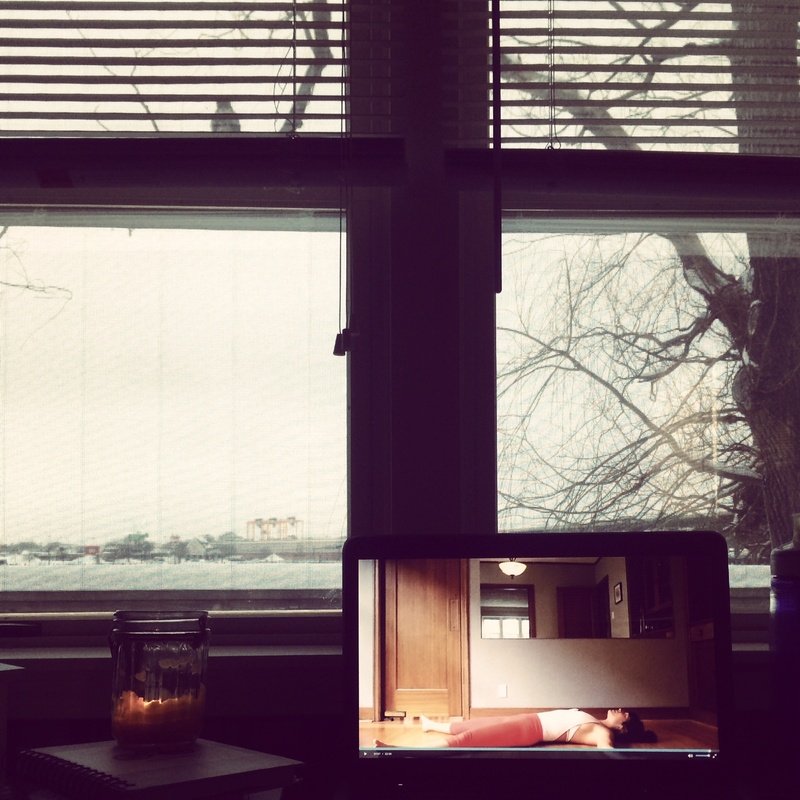 Snowy, cozy, and spending time with my two favorite boys? I’ll take it. I had such a peaceful morning. I couldn’t sleep so I woke up early and did an at home yoga practice. Typically when I do this I lead myself through a practice which helps me create new sequences for teaching, so a win win. But this morning I really just wanted to be “led” by someone else. Have you ever heard of Codyapp? It’s a website that offers videos from fitness professionals or yoga teachers. I saw that Meghan Currie was one of their teachers. I have heard great things about her, so decided to check it out! I purchased her Strength Intelligence series and loved it. She talked a lot about finding the balance between strength and ease in yoga and in life. Yes, I like her!